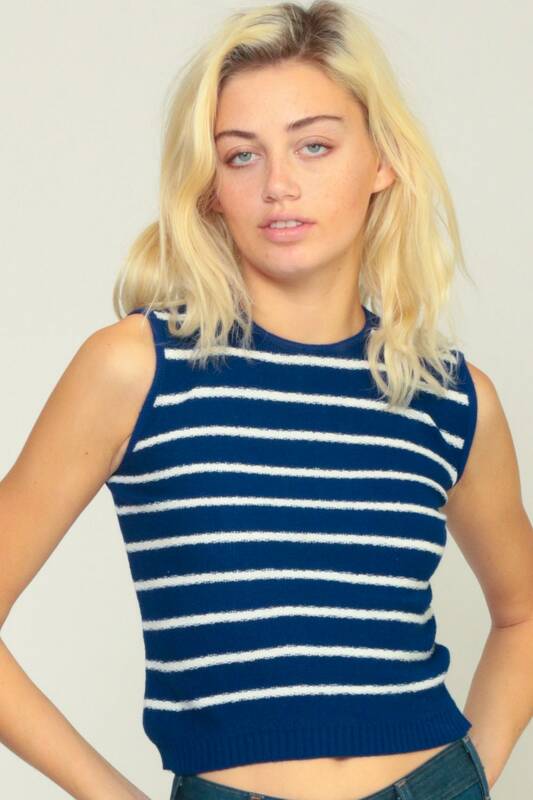 Vintage 70s tank top in dark blue knit with white stripes and a keyhole at the back of the neck. Condition: Very good vintage. Slightly warped due to wear. 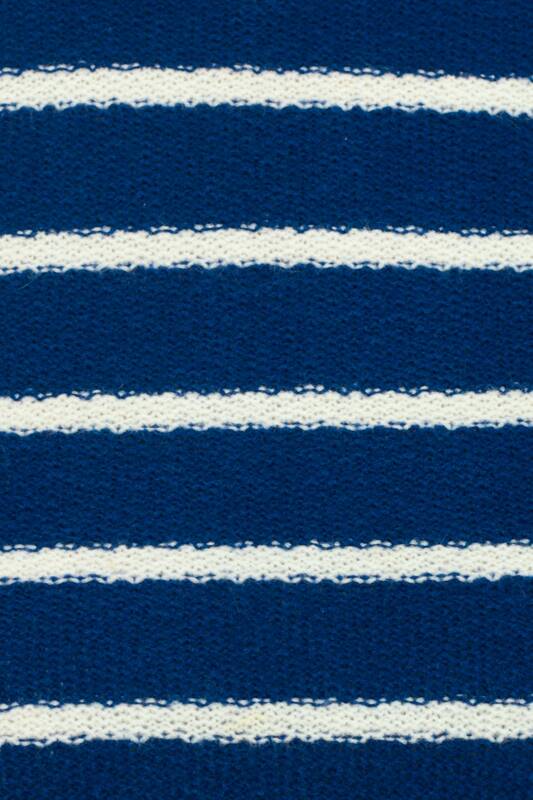 Material: Feels like an Acrylic blend knit.